« Yes, it is a word! 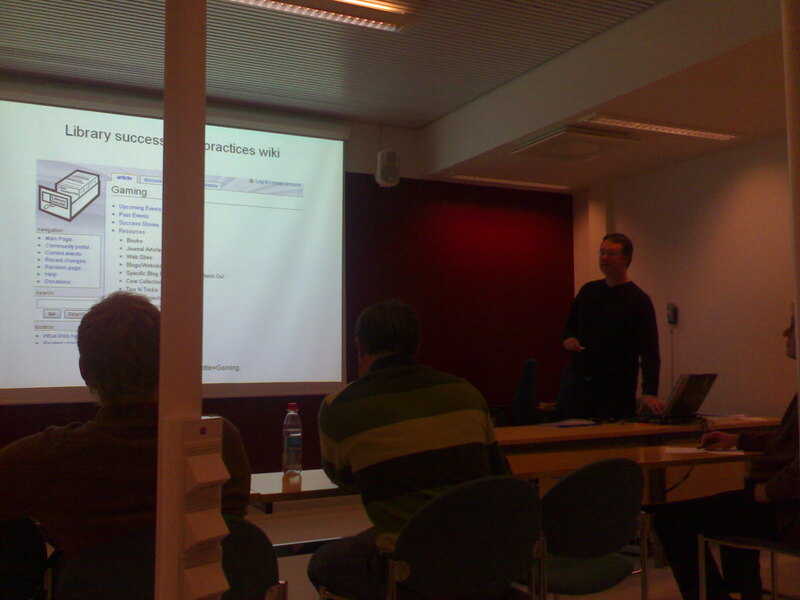 John Kirriemuir gave us a visiting lecture at Tampere at the end of the last November. He had an interesting and, as always, entertaining talk, this time exploring connections between library and games. He made such points as “librarians are cool people too” (he noticed that game researchers are cool folk last spring here in Tampere while giving a speech about his studies at Outer Hebrides). I learned that in U.K. they have cool stuff at libraries such as game evenings for kids. (I also learned that my hometown library lists games as non-fiction and only such titles as Moomins are available.) Nice perspective to games again, John! Check the slides of the presentation from Johns own blog. This entry was posted on January 15, 2008 at 8:46 am and is filed under Presentations. You can follow any responses to this entry through the RSS 2.0 feed. You can leave a response, or trackback from your own site. Thanks for turning up in big numbers to hear a fat bloke with a bad haircut witter on about games and libraries for an hour! Thanks for you to come all the way to Tampere! I learned a lot and we had a nice conversation at the end of your lecture, pity it was only an hour… 🙂 I hope we will have loads of nice discussions at our spring seminar next april! !